Put on your rainbow thinking caps and grab your glittery cameras, it’s time for a contest! One MYSTERY PRIZE to be purchased, found, or stolen at AEC by myself and Bobby. Lord only knows what that might be, but you know you can’t wait to find out. 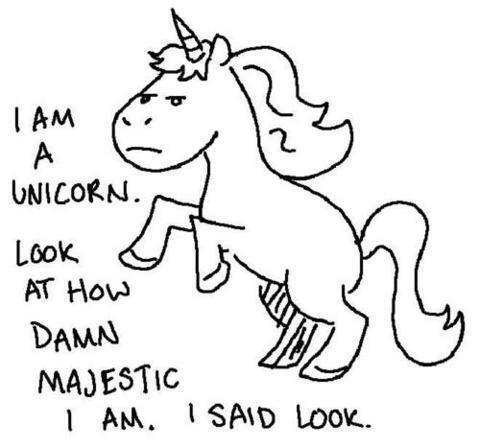 Send me a picture that you think best represents our team’s theme of “Always be a Unicorn”. It can be extremely literal, it can be subtle, it can be anything you can possibly think of, as long as it represents that theme. The picture must include either you and/or your horse, or have been taken by you. No stock photos. 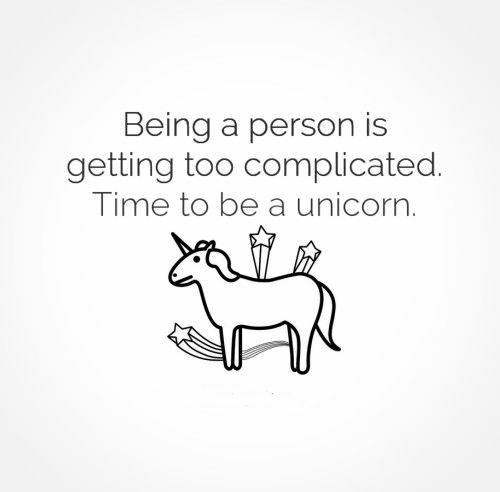 Don’t be a lame unicorn. The photo may be edited however you choose. You can either send me a link to the photo via the ‘Contact Me’ page here, or you can message it to me directly via my facebook page. Make sure you send me your email address so I can contact you if you win. Entries are due by September 21, 2015. You have plenty of time to be amazing. You may submit up to THREE photos per person. The contest will be judged by myself and Bobby, we will pick a winner together. Please understand that by sending me the photo you are giving me permission to post it here on the blog. A winner will be chosen by September 28, 2015.
ooooooooh boy. haha. ideas man, i have them. I still love the Grumpy Unicorn! “I said look.” I’m trying to get this made into a shirt. I’VE GOT FOUR UNICORNS JUST WAITING TO SHOW OFF THEIR UNICORNESS. Too bad them damn goats already have horns, because unigoats. I think my dog wants to do his best rainbow butterfly caticorn impression. i can’t wait to see the pictures! !